Icelandair has dropped the price of their late September flights from Saskatoon to Reykjavik, Iceland down to $579 CAD roundtrip including taxes. 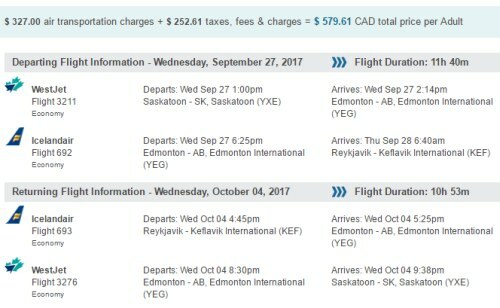 This is 42% below the typical cheapest roundtrip prices from Saskatoon to Iceland. 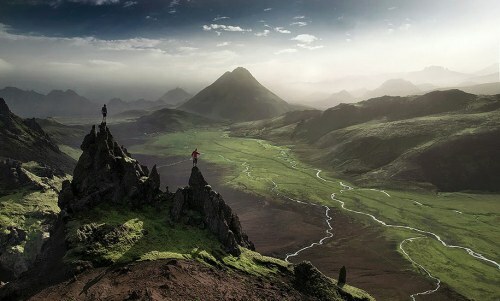 These may disappear quickly, as they are part of a great sale on non-stop flights from Edmonton to Iceland. Tip: Also try a departure date of Sep 19 or 20.
saskatoon, yxe, flight deals, europe, northern europe, nordic countries, reykjavik, iceland, kef, icelandair and reykjavík.